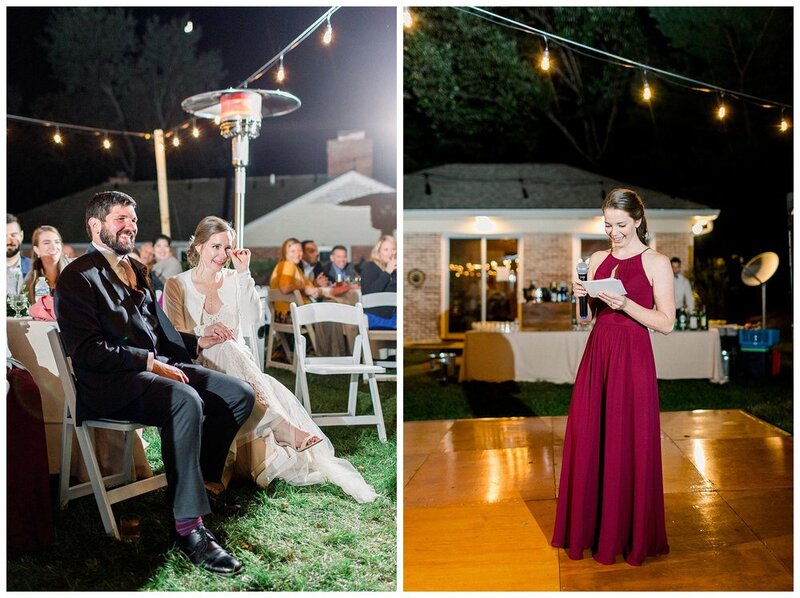 When Ashley told me that she was going to have her wedding at a private home, I figured it would be a modest affair with a backyard vibe. 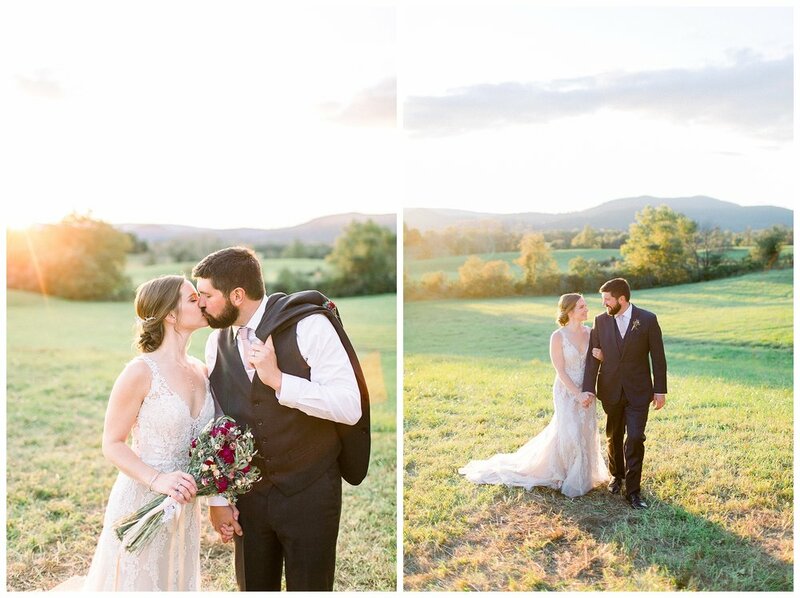 When I drove up to Whistling Ridge Farm I was blown away! 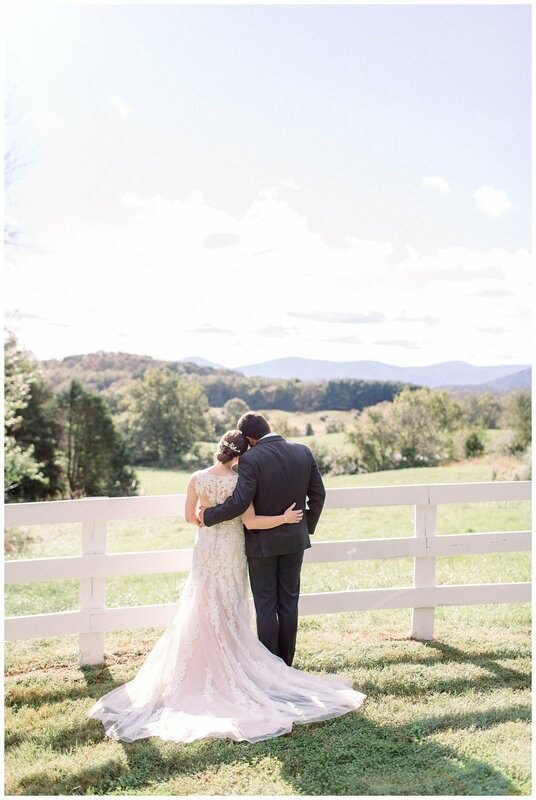 The views of the rolling Virginia mountains were just incredible! 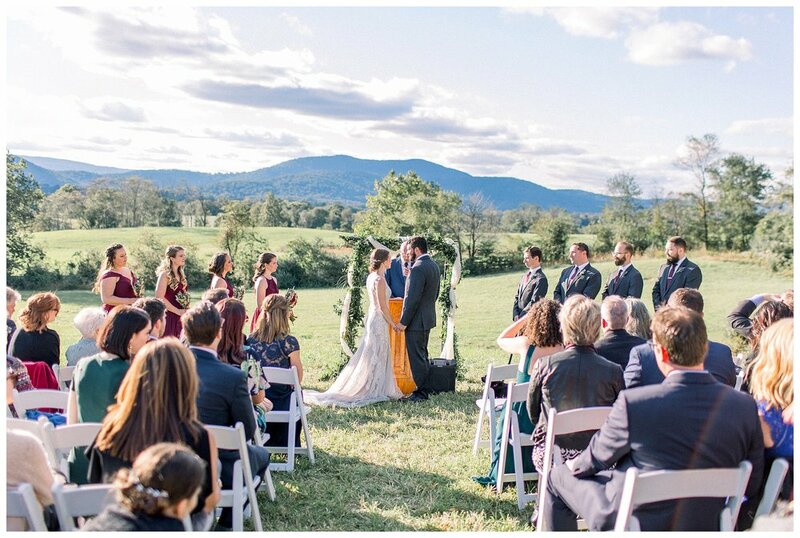 Their ceremony looked over the sunset and their reception was all outdoors under twinkle lights tucked away between the property. 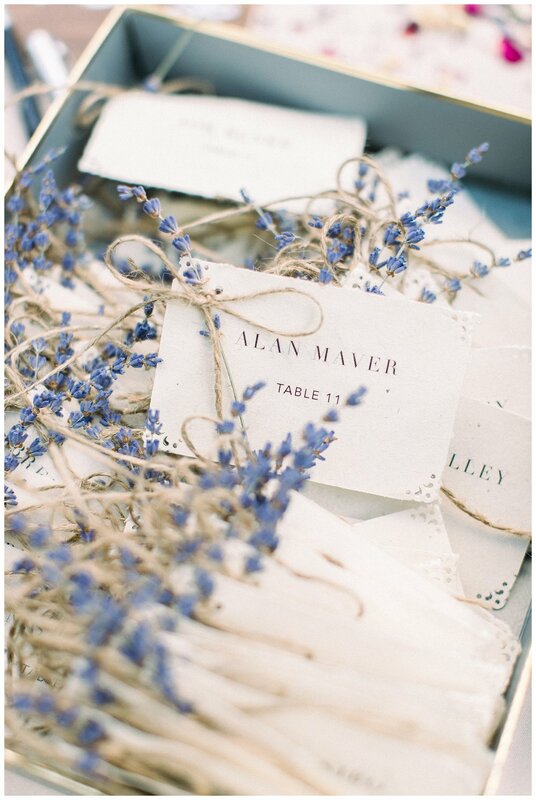 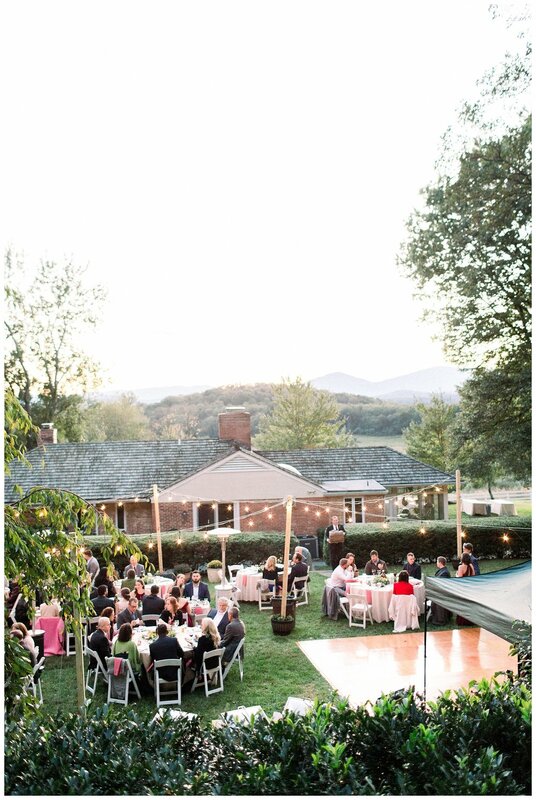 Hello, dream wedding! 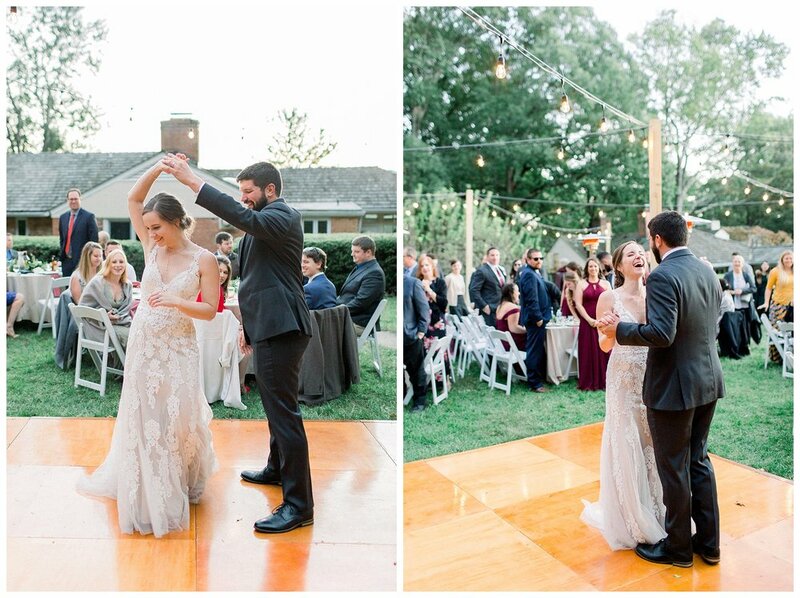 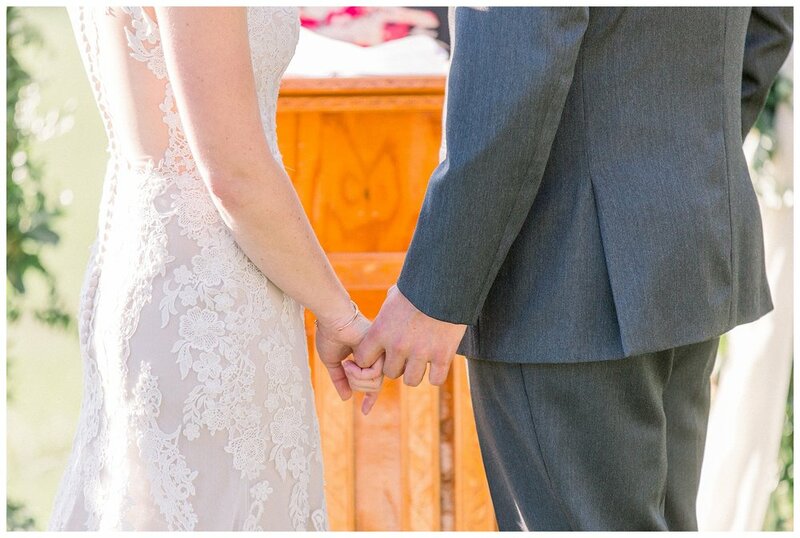 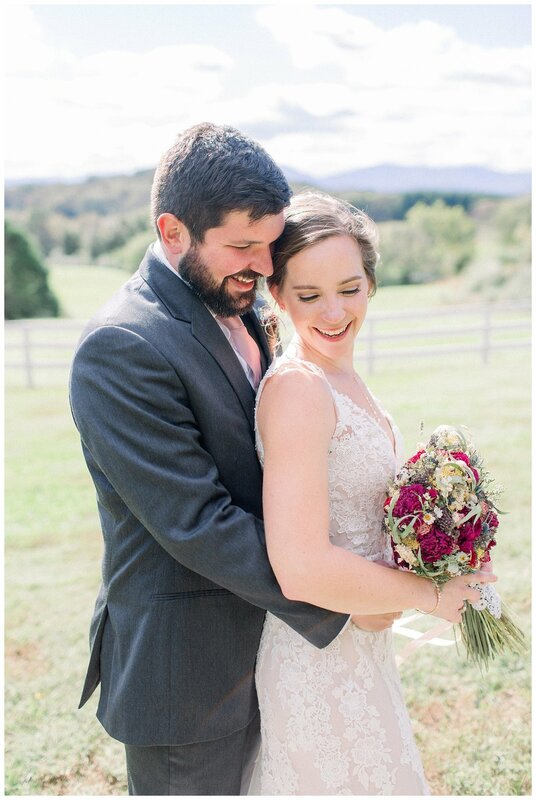 Ashley & Michael met when they started working together at a restaurant in Tysons Corner. 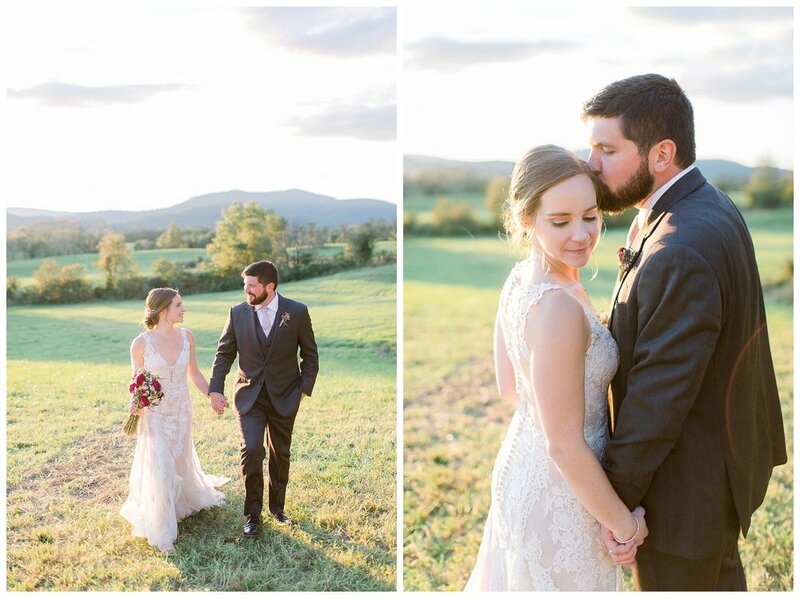 The man that hired them both gave such a touching speech that there wasn’t a dry eye in the crowd. 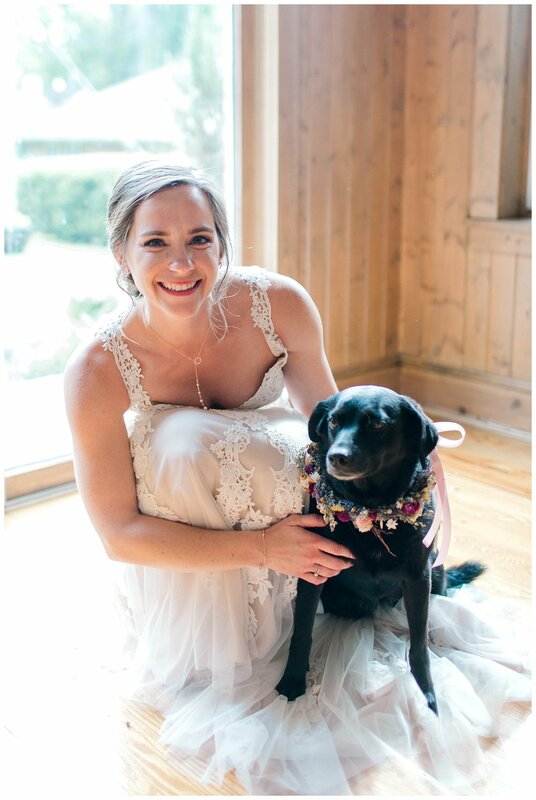 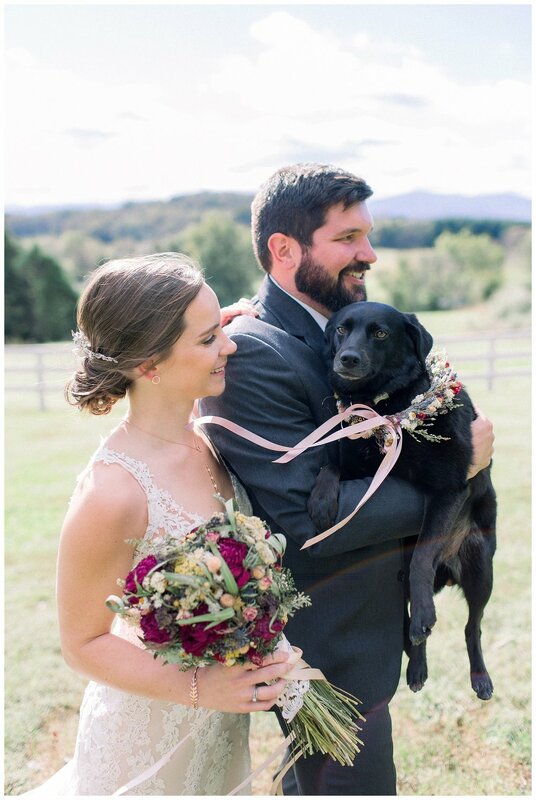 They included their pupper in their ceremony and had Ashley’s twin sister’s dogs also roaming about all day! 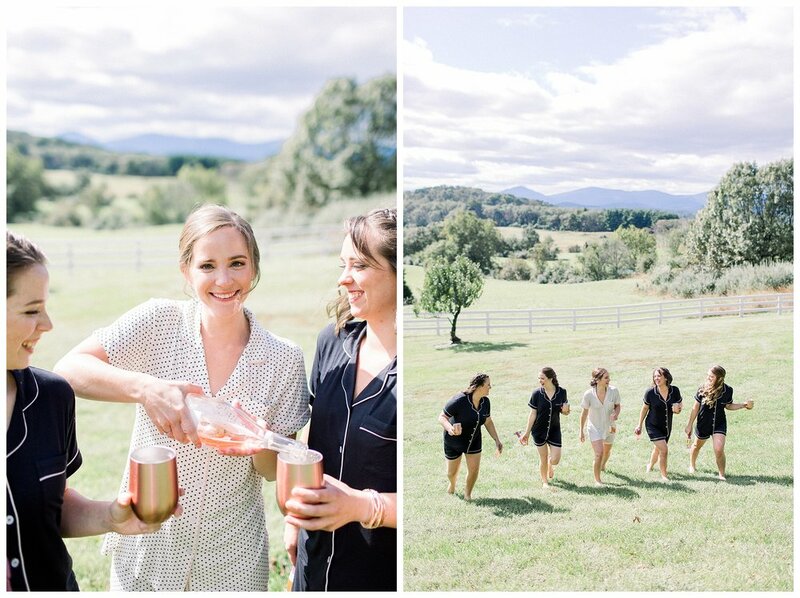 I adored the personal touches and relaxed pace of this stunning day. 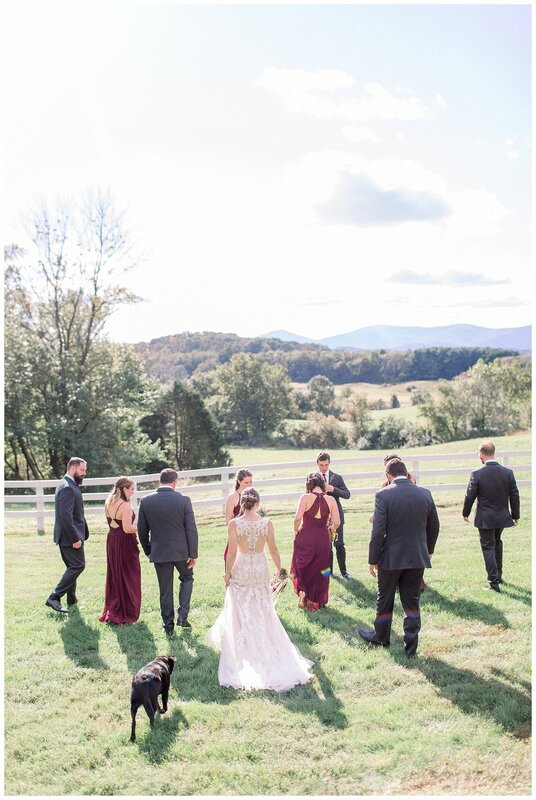 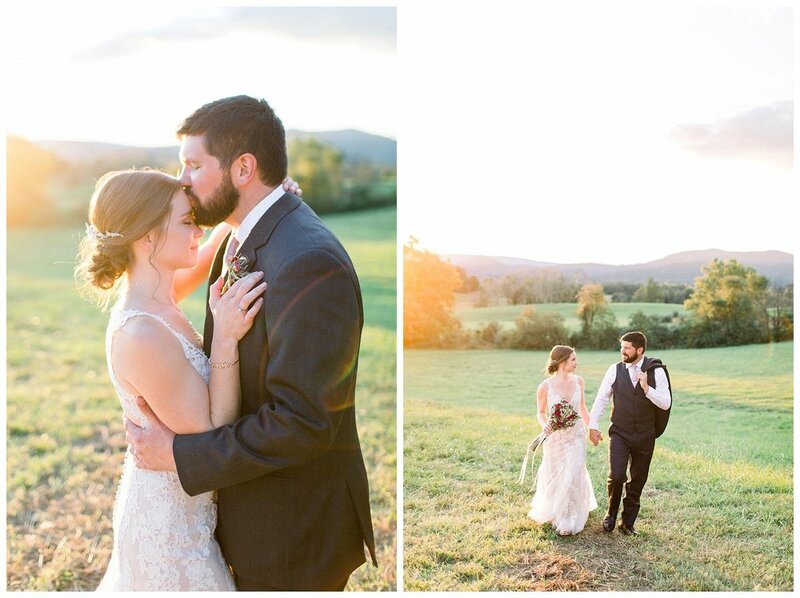 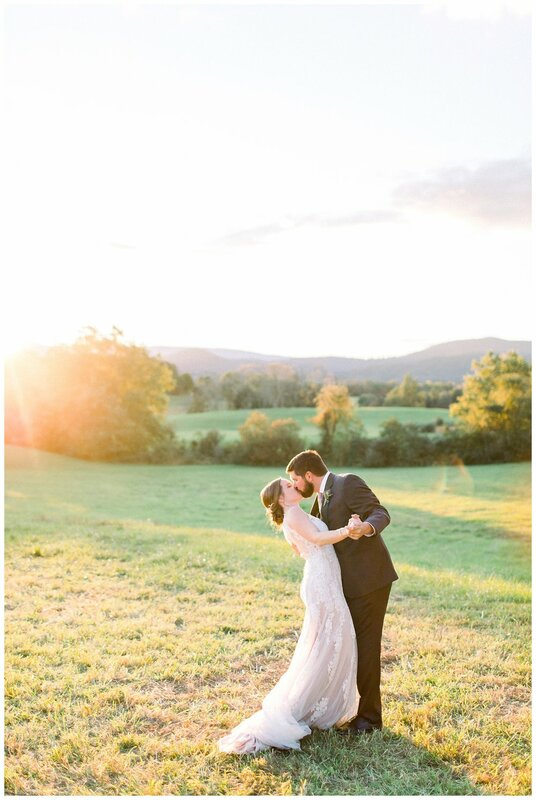 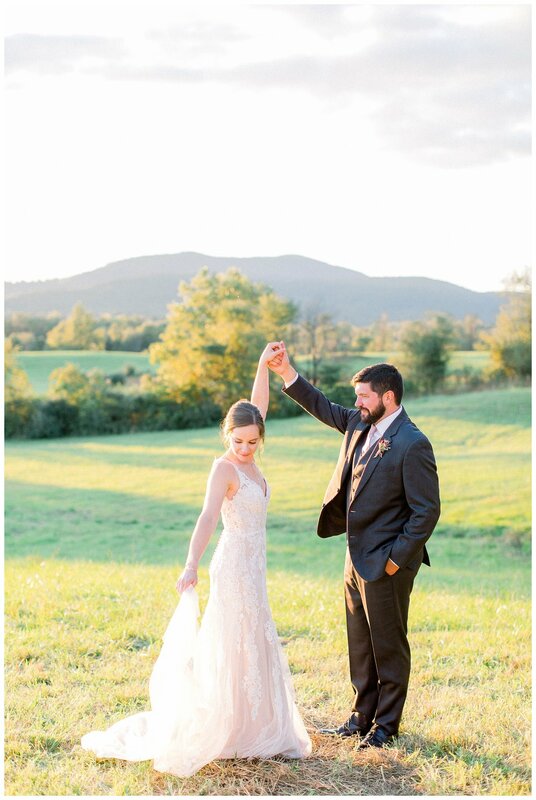 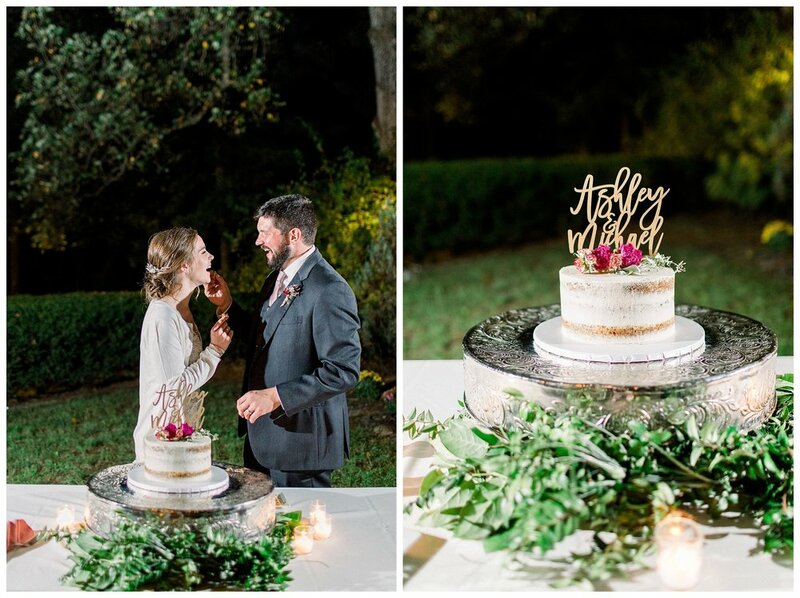 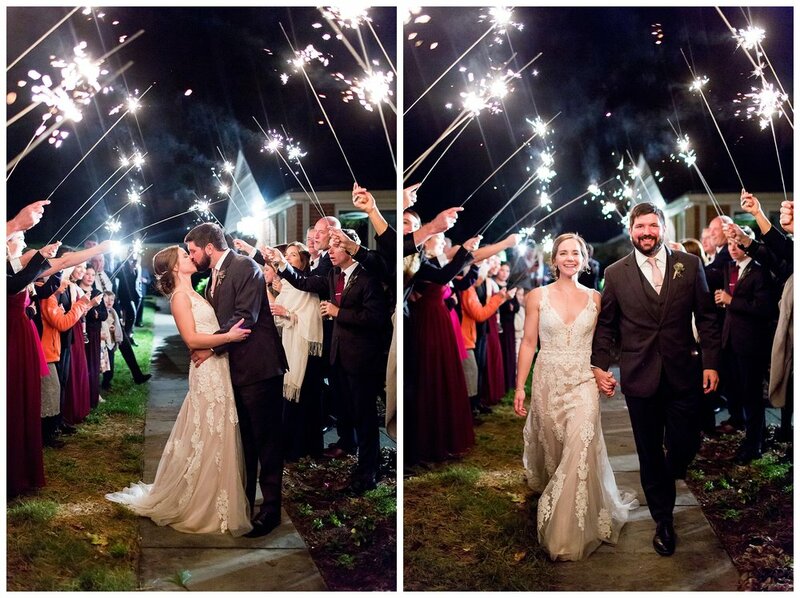 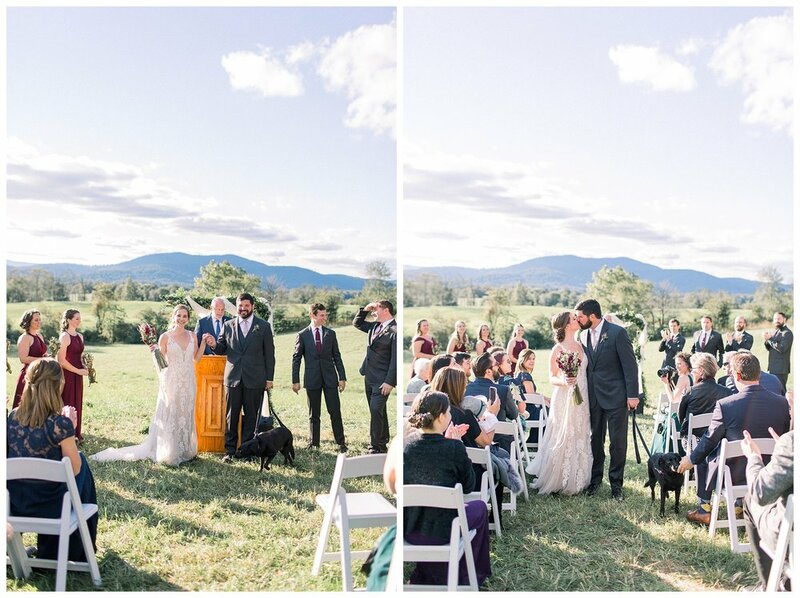 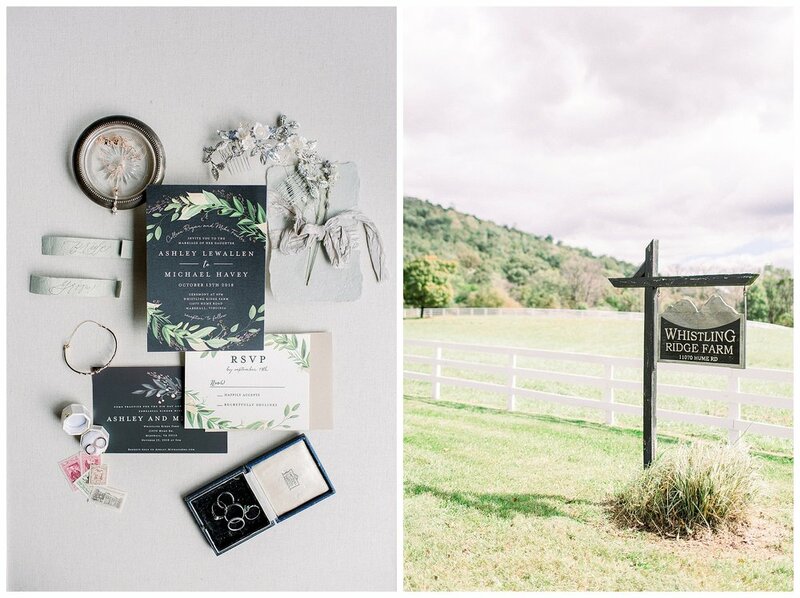 Check out my favorite snaps from their intimate Virginia Mountain wedding below!